Casino players signing up with Vera&John Casino can not only enjoy a welcome bonus, but also 1200 fun packed games. In this Vera&John casino review, you will discover what makes this casino “The Fun Casino” aka “The next best thing since sliced bread”. Vera&John guarantee that at least one player will win at least £5,000 every day and £50,000 each month. If not, the players with the highest wins will get topped up in cold hard cash. Plus, there are many bonuses and other promotions available for all customers at Vera & John Casino. What is the Vera John Casino Welcome Bonus? A 100% Bonus up to £50 is available for all new players. If you decide to invest £50, your first deposit will be matched 100% and you’ll therefore earn yourself an extra £50, which is the maximum bonus amount. The minimum buy-in deposit is £10. Vera&John’s bonuses differ to other casinos. Generally, when you play deposit bonuses you instantly wager the bonus. At Vera&John, you don’t wager your bonus until you reach your bonus money. If you have not reached your bonus balance, you are able to cancel your bonus and withdraw your winnings without wagering requirements. How Do I Claim My Vera&John Casino Bonus? Open your new account and make your first deposit of £10 or more for your 100% bonus. The maximum bonus amount is £50 for the first deposit bonus. Players must opt in on the cashier page before finalising the deposit. Deposits are not tied to bonus wagering requirements and can be withdrawn before the bonus begins. Bonuses begin after your deposit amount has finished. On top of the above, there are a couple of points you should consider. Vera&John have many regular bonuses, promotions and offers. As far as bonus offers are concerned, you have the choice between numerous free spins, reload offers, sweepstakes and tournaments at any time, so if you are a fan of additional bonus credit, you can really make the most of it. There are also guaranteed winnings (as previously explained above), great prizes and exciting tournaments every day of the week. Vera&John offer an attractive welcome bonus for new customers, as well as numerous bonus promotions and a loyalty program for frequent players. This ensures that both beginners and high rollers can fill their account with extra money and earn loyalty coins too. Deposit Bonus:Players regularly receive bonuses of 50 or 100 percent on their deposits. When this type of offer is coming, you can find it directly on the website or newsletter of Vera & John. Bonus Cups:A deposit bonus with a fixed bonus amount, for example, a bonus of £10 or more with a deposit of 20£. Spin Credits:A bonus that is only valid for a specific game or game type – for example, £3 on a particular slot. Free Spins:As the name suggests, free spins are rounds of play or shoots where users do not have to make their own bets. Win spins: Users receive unlimited free spins until they win a certain amount, anything more is yours to keep. Thrill spins: Almost like win spins, except that users are given unlimited free spins until they win the amount with a single spin. All the money they have won until then can be kept in addition. Hit spins: Offers unlimited spins on a particular slot until a particular goal within the game is reached. E.g. activating a bonus feature. Trigger spins: Go straight to the bonus feature in a particular game. Anything you win is yours to keep. There is a descent choice of payment methods available at Vera & John Casino. Most importantly, players can also use PayPal for both deposits and withdrawals. Additionally, users have access to Mastercard, Visa, Neteller, Skrill and Paysafecard. Below is a list of all the deposit and withdrawals methods at Vera&John Casino. The standard set of payment methods is also available, including credit cards, debit cards and e-wallets, like Skrill and Neteller. It is also important to note that all methods have instant transaction times and no fees. How Easy Is Depositing With Paypal at Vera & John Casino? Why should you opt for PayPal as a payment option at Vera & John Casino? The answer is quite simple: simplicity! With just a few clicks, you not only pay within seconds, but can also quickly register and grab the new customer bonus. You will be forwarded to PayPal. Login and release the deposit. You can now play. Vera&John is one of the safest online casinos and does not go anywhere near short for security and respectability. The operator of the online casino, Dumarca Gaming Ltd., has been granted an EU license by the Malta Gaming Authority and the V&J website is regulated by the United Kingdom Gambling Commission (UKGC) and audited by eCOGRA. 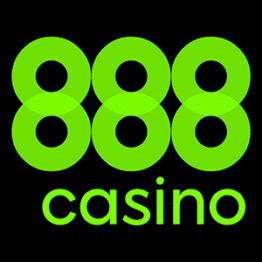 This casino uses 256-bit SSL encryption to ensure that all information, personal information and financial records are protected from third-party access at all times. Vera&John has no control over their 3rd party random number generator, which means that each result is independent, fair and random. No result can be changed or influenced by Vera and John. In addition, Vera&John Casino are strong supporters of responsible and fair gaming. At Vera&John, you have the possibility to set your own gaming limits, budgets, and boundaries. Preventing unhealthy gaming behaviour is a high priority as is any aspect of responsible gambling. With over 1200 games, Vera&John Casino is the place to be when it comes to games plus, above all, category diversity. The games library is powered by NetEnt, IGT, Yggdrasil, Microgaming, Betsoft, Play'n Go and Evolution Gaming.The online casino has divided this mass of games on slot machines, jackpots, table games and the live casino. There is blackjack, roulette, classics and tournaments. There are the classics – Gonzo's Quest and Gold Rush. Then there are the themed specialities – Alice Cooper and movie classics like “Scarface” and “Aliens”. All slots can be played for free. There is no need to invest any money to get a closer look at the entire assortment and to be able to test it. There is an aggressive jackpot range, which is much larger than many other online casinos and holds several million euros at any time. On offer, for e.g. Mega Fortune, Mega Moolah and Mega Moolah Isis, Divine Fortune, Hall of Gods, and so on. The selection is big with the best industry odds of cracking one jackpot or another. It is worthwhile to hunt across the game menu and discover the most lucrative opportunities for yourself. More than 65 tables are available. In addition to the usual variations of blackjack, roulette and poker, there are also some less common variants. For e.g. three-wheel roulette is particularly exciting. There are also so-called high-limit specials on all tables, where the stakes may go up to £1,000 per round. The entire mobile app is user-friendly and created in the same style and colors as the web version and thus unmistakable, whether via smartphone, iPhone or tablet. You will have access to hundreds of games, news from the Vera & John Casino, deposits and withdrawals, help and more information. Thanks to instant play, you can play any game on your mobile as if you were playing it on your computer, with a slight difference in controls. The layout of the site remains unchanged whichever device you use, so players making a transition from one device to another won't have a problem adjusting. There is also dedicated Android and iOS download apps, which you can get directly from Vera&John Casino and from Apple’s App Store respectively. Like any aspiring establishments, Vera & John has Live Dealer games for players who want to be in the middle of the action. Poker, Blackjack, Roulette and Baccarat can all be played with real people and real dealers. The games for Vera&John's Live Casino are delivered by several providers, most importantly: Evolution Gaming and NetEnt. The video quality is excellent, and there is a Live Chat open so you can talk to other players and interact with the dealer. Vera&John also is host to Casino Paris. Then there is also Casino Macau and Casino Singapore. Some games are available on the mobile version too. Vera&John offers a reward system where you get coins for basically everything you do on their site. VIP players receive a more separate and enhanced offering, however, all players can receive coins for loyalty. You can use those coins to purchase items in their shop. As you collect coins you increase in level and get more rewards. In the shop you can purchase different types of bonus cups, free rounds and locked bonuses at different prices. You are also rewarded for your activity on the site in the form of badges, new avatars, tournament awards and a wide variety of achievements. This could be playing a certain number of different games, winning a certain amount on a game, or just logging in every once in a while. All emails are usually responded to within 24 hours. The casino’s most unique attribute that can be singled out, is without a doubt their massive gaming selection brought forth by the industry’s absolute top shelf providers. This goes towards creating a fantastic gaming experience. We Like Vera&John Casino “aka The Fun Casino”! Vera&John Casino probably have one of the most extensive bonus programs. Paid out either through active play or actions such as logins, etc. Furthermore, the website is very user-friendly and simply and happily designed, which is a real advantage over many other online casinos. Furthermore, the casino is getting bigger and bigger, offering more and more games. As a result, there are always new and different bonuses and offers. Do Vera & John Accept PayPal Deposits? Yes they do. PayPal is the simplest payment method at Vera&John. With just a few clicks, you not only pay within seconds, but can also quickly register and grab your new customer bonus. Do Vera&John Accept UK Customers? Yes. The Vera & John website is regulated by the United Kingdom Gambling Commission (UKGC) and audited by eCOGRA. How Many Bonuses Are There at Vera & John? Heaps. Every week, you've got the choice between numerous free spins, reload offers, sweepstakes and tournaments at any time.